I am so thankful that I am able to be on the other side of beachbody this year and be able to share with my friends and family who have been there for me and shown support on my fitness journey. It is so nice to be able to share this with you as you may have been wondering where do I start? Or asking yourself how am I going to be able to afford this? 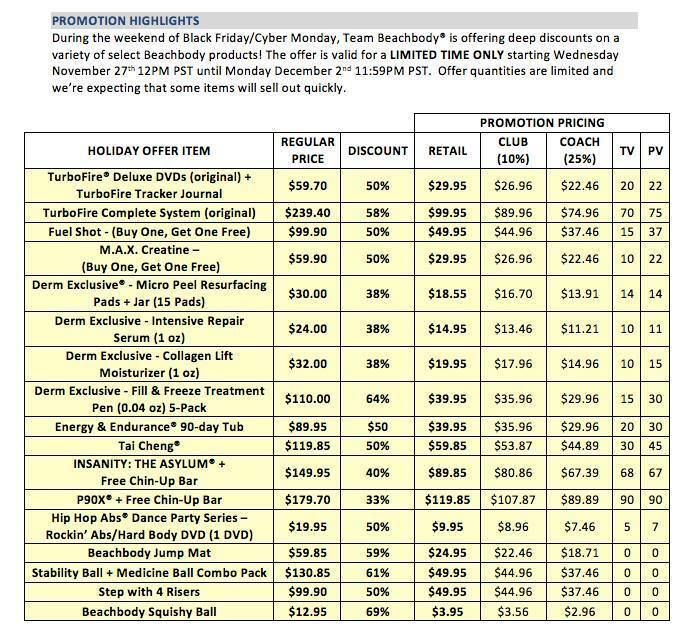 Beachbody brings you an amazing deal on some of the best programs, equipment, and supplements because they know how to give back to the ones that matter the most………and that is YOU! Comments Off on The Wait is OVER!!!!!! We all know next Friday is the dreaded day where people go out in the crowds to get the best deals for Christmas. 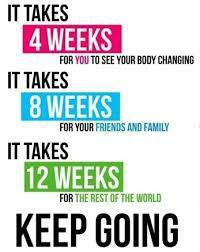 Well next week marks a year since I joined the beachbody family. I ordered TurboFire during their blackfriday week and am wondering exactly where did that year go? It flew I know that much but onto a stronger me in this year and I have made some major accomplishments things I wouldn’t have been able to do without these workouts. I will post next week on the things they have and hopefully you can find your soulmate of a workout. Beachbody keeps reminding me every month why I chose to become a coach for them. This month is no different, they have decided to partner up with feeding america to help the needy families with donating $20 for every challenge pack sold this entire month. What a great way to give back to help others. There is more info in the video posted and if you decide that this is something you can do you can contact me via my beachbody tab in the left corner of this page. Thanks for reading and let’s help others. 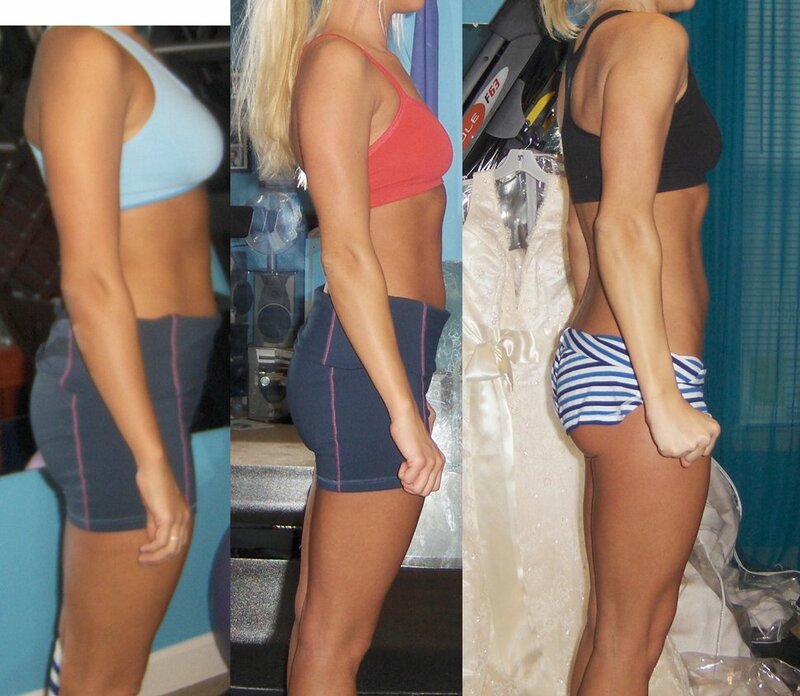 If you are wondering if the Beachbody workouts give results then you need to check out my friend kati’s. She killed it and got super toned during her 90 day transformation of P90X. I am on my way as well doing Insanity, making my way to a new and stronger me. I use to think that I could go through life without working and then I learned of some health issues . I had to make a decision go through life worrying what will happen next or make myself strong and enjoy life to it’s fullest. I chose to live life to it’s fullest. I am here to help you in this also, if you are interested you can contact me via my Facebook page. Here’s to an awesome day, make it count.